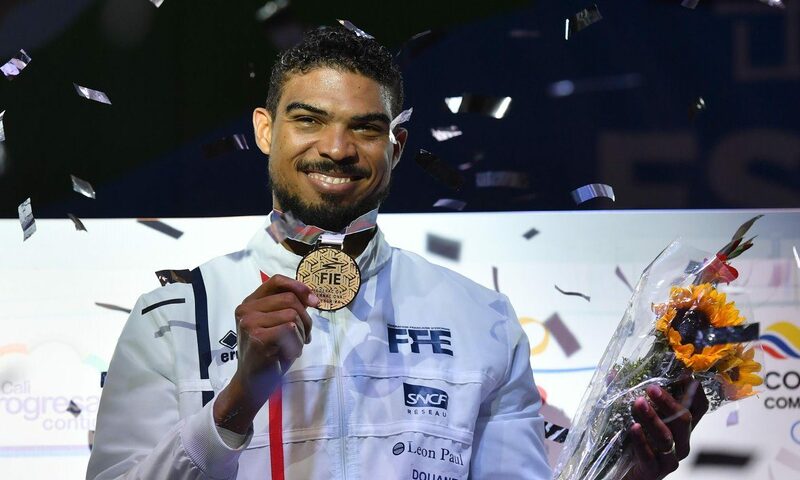 France’s Yannick Borel and Hungary’s Emese Szasz-Kovacs have both taken gold in the final FIE Grand Prix event of the season at Cali’s Pacific Valley Events Center in Colombia held from May 25-26. Borel and Szasz-Kovacs warmed up for next month’s European Championships to be held in Serbia by finishing off the season in style in Colombia. 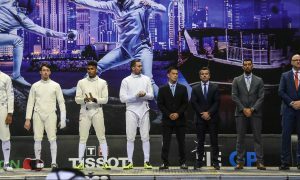 Borel defeated Korea’s Byeungchan Jung 15-10 in the men’s final, crowning what he described on instagram as a ‘complicated’ year. It was Borel’s first Grand Prix title since Rio in 2015 and only his second overall. He has won the last two European Championships however and will take confidence into those in Novi Sad in the middle of next month, especially after defeating reigning Olympic champion, Sangyoung Park, 15-14 in their semifinal. 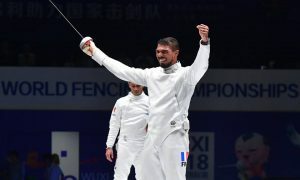 For his opponent in the final, Jung, it was his best result in senior competition, defeating another Frenchman, Daniel Jerent (15-11) to reach his first career FIE gold medal match. In the absence of world number one, Paulo Pizzo from Italy and world number three, Nikolai Novosjolov from Estonia, world number two Ukrainian Bogdan Nikishin had been installed as the events favourite, but it wasn’t to be, going out at the quarterfinal stage to Jerent (15-14). In the women’s competition, world number one and 2016 Olympic champion Szasz-Kovacs from Hungary overcame US epeeist Courtney Hurley 15-11. It is the Hungarian’s fifth Grand Prix victory of a decorated career that has also included 7 World Cups wins. 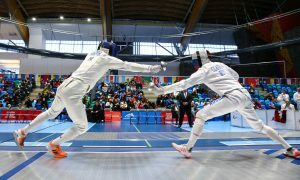 She defeated surprise packet Federic Isola from Italy in their semifinal, with the Italian advancing from the pools with a ranking of 189. Hurley had faced Frenchwoman Auriane Mallo in their semifinal (15-9) and the Ukraine’s 4th ranked Olena Kryvystka before that, out touching her 15-10 to equal her best Grand Prix result. She will head into the PanAmerican championships in Cuba next month feeling confident. Her twin sister Kelly had earlier made it to the table of 16. Worth the Upgrade to bayonet?